God can see beyond our actions He knows our thoughts and heart. 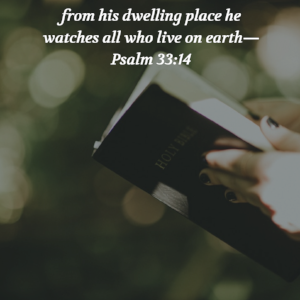 For some of us, this brings great comfort to know God is familiar with all our ways. But for some, it may create anxiety because of what we may be trying to hide. The more we grow in our understanding of who God is, the more assured we can be in His presence. He’s not the Father who removes His love when we are walking away in our thoughts and actions, but He is the Father who continues to call out to us no matter where He finds us. He is there, reaching into our life and helps us gain an understanding of how He desires to walk with us. His love doesn’t grow cold when our heart is cold for he warms our heart with His ever-increasing love and compassion. He shows us how far He is willing to go by sending Jesus. Allow His grace in where it hurts and allow His mercy in where there are defiance and rebellion. The father loves us and desires to walk with His children right where they are. Where do you need the Father to walk with you?